It starts Monday, Feb 4 at 6pm for one hour. It is for ages 4-8 years. It’s free for the entire month of February and depending on further commitment from the students/parents we will decide at the end of February if we are continuing the program. It is for ages 7 and up and meets every Wednesday at 7pm. Generally, 1 yr and up (when they are walking). Life got a little busy for my adult dancers and when we got down to only one I had to put the class on hold. I would love to bring it back and have others interested as well. What style are you interested in? Do you offer a beginner adult ballet class? I would love to take that. We don’t currently have adult ballet on the schedule, but are planning to add it back to the schedule beginning in July. I have a 2 yr who will be 3 in April. Would like to get her into something. Where are you located at and i know that you are a military wife so do you do military discount? I’m sorry, I thought the address was listed on the site. I will check into that. We are located at 1305D Main St. in Perry. I keep the rates as low as possible (last I check we were the lowest in the county) at only $35/month for one hour per week. If your daughter takes more than one class or another family member joins then there is a $10/month discount. Is tere space in your Monday at 5pm class for a 5yr old? Out or should I one by and obtain a more up to date one? Yes ma’am there is room. Sorry for the incorrect pricing on the registration form, I will take care of that. Thanks for letting us know! I was hoping you had room for my 4 yo. She’s taken a year in gymnastics and a year in ballet/tap. Please let me know she’s been asking for classes to start as her last studio didn’t offer summer classes. If you don’t have space available now could she be added to a waiting list? Thank you kindly, we look forward to hearing back from your company. 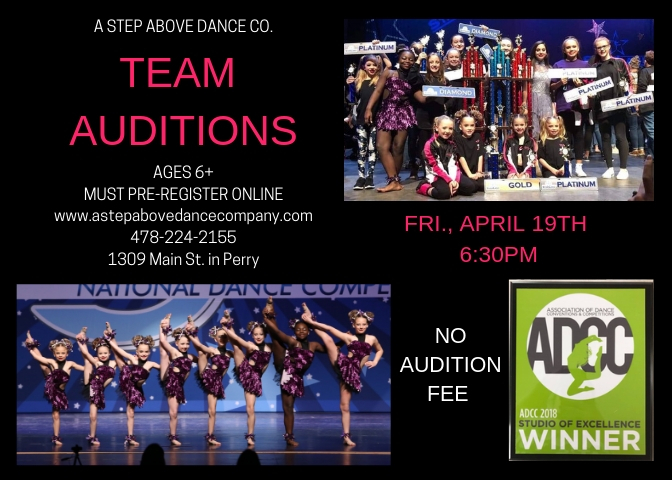 Yes we have an opening in our ballet/tap combo class. It meets Mondays at 5pm for one hour. I have a 3 yr old daughter I would like to register for ballet/tap when does this class start? Hi Lauren, we offer open enrollment all year long. We are currently closed for the holidays, but she can come and try a class next Wed, Jan 6th at 5pm. Is there a certain time to register and attend a trial class? My 5 year old is interested in starting dance. Do you know what style of dance he/she is interested in? We have ballet, ballet/tap combo, cheer dance, and acrobatics for his/her age. I would also like to enroll my daughters in ballet and acrobatics. My daughters are ages 8 and 6. The 8 year old wants to do ballet and my 6 year old wants to do acrobatics. What class do you suggest for them? The ballet class is Monday at 6 and acrobatics is Thurs at 5. Do you offer shorter summer programs in any of your dance styles? My 9 yo grand daughter visits off an on throughout the summer. She loves to dance, if pretty descent with gymnastics and loves to ‘create’ modern and hip hop but needs some formal training/guidance. Our tuition is paid monthly so you are welcome to just come for a month or two. However, you will see the most improvement when training is done on an ongoing basis. 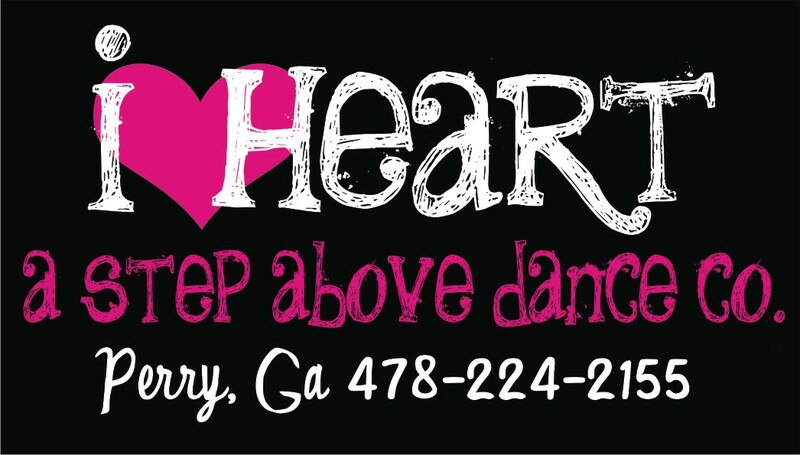 My name is Amanda Chaney, I’m interested in looking to see if you were offering adult classes, in any kind of dance? More info is greatly appreciated. We offer a ballet/lyrical class Wed at 6pm. The first class is a free trial if you would like to come this week?